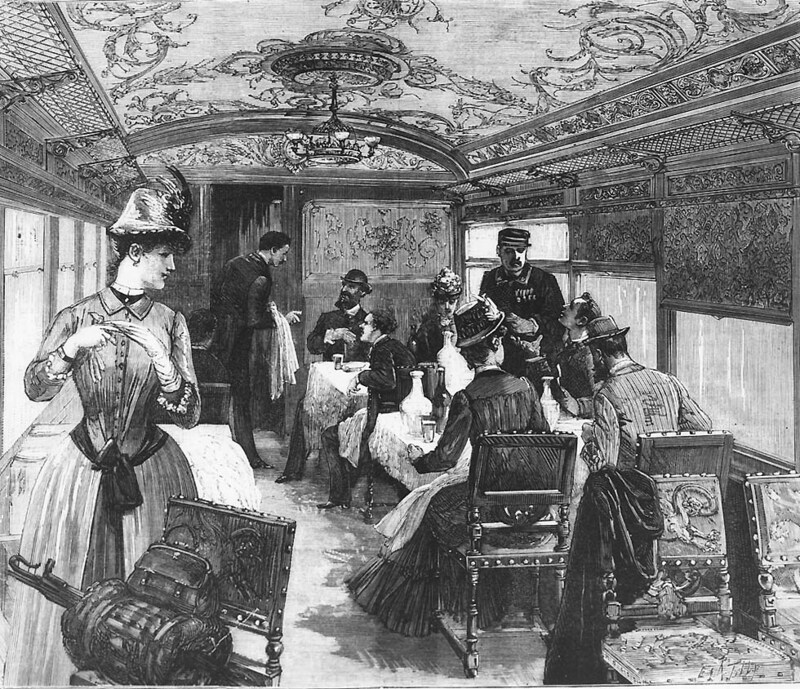 ... 1883, a train of wagons-lits and other cars adorned with "intricate wooden paneling, deluxe leather armchairs, silk sheets and wool blankets for the beds" departed Paris en route to Constantinople, marking the 1st journey of the Orient Express. The journey to the city now known as Istanbul took about 80 hours, not long at all for passengers who reveled in the train's cachet, luxury on wheels. 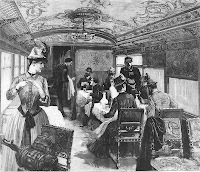 (credit for circa 1883 image of Orient Express dining car) It was a favorite as well of practitioners of espionage, so much that it was called the "Spies Express" -- a fact that inspired a Christie novel as well as Hitchcock and Bond movies. And as detailed in a Smithsonian article, certain wagons played key roles in World Wars I and II.